Research conducted by Go On UK and the Tinder Foundation has revealed that increased investment in digital skills could benefit the UK economy by at least £12bn. 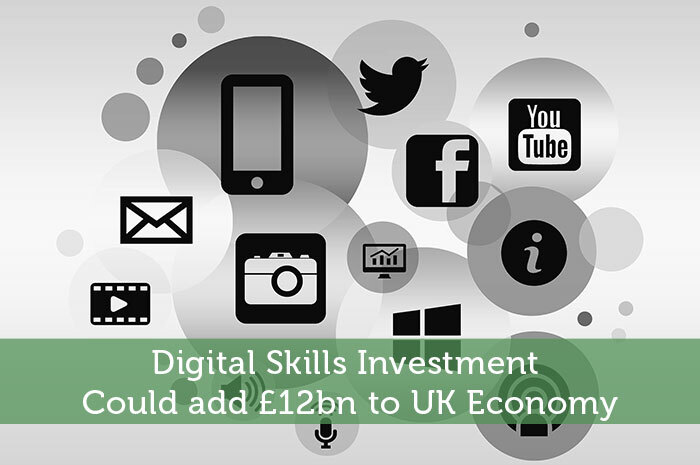 The research predicts a return of nearly £10 for every £1 invested based on productivity improvements if £1.31bn is spent on skills and digital devices over the next ten years. UK net earnings should also benefit significantly, where increased competency with hardware and digital mediums will build more skilled workforces and increase the country’s net earnings by an estimated £358 million. However, both Go On UK and the Tinder Foundation say that investment in digital skills simply isn’t enough and point to Prime Minister David Cameron’s pledge to invest £1.71bn in UK broadband coverage over the next five years as a key contributing factor. Such predictions are welcome for an economy which is continuing to see a healthy recovery and, most notably, a tangible reduction in insolvency. The research is also perfectly focussed, with digital devices playing central roles in most of our lives and the workplace. It is therefore something of a paradox that estimations pitch the number of adults having never used the internet at over six million with many also unable to overcome some of the most basic digital skills including communication, information management and problem solving. While Cameron’s promise to deliver high-speed internet access to as many businesses as possible is long overdue and has been welcomed by many, CEO of Go On UK, Rachel Neaman, concedes that it is only a small stepping stone on the path towards engaging everyone digitally. “Universal basic digital skills would give government a direct cash return of £1.8bn in increased tax receipts, lower jobseeker allowance payments and NHS primary care savings, in addition to the individual and societal benefits it would provide,” Neaman said. The challenge will be focussing the digital skills deemed necessary. The wealth of devices, applications and communication methods available to us in the digital world can be overwhelming and defining a clear learning path will be incredibly challenging. Critics may also say it’ll be counterproductive to expose non-techies to the digital world, regardless of the benefits on offer. Will it simply cause them to recoil from the mouse and keyboard quicker than before? That said, if the tuition was accessible and engaging, it is likely that the less digitally-minded of us would take it on with open arms and increased competency with computers, tablets and software applications will only ever be of benefit to business and the economy as workers find new ways of achieving more each day. What do you think? Does investment in digital skills stand a chance of being adhered to? Can it really offer such a significant return for the economy? Let us know in the comments section below! Being in the IT industry for over a decade I think theres still a huge gap between theory and practical expertise. With the ever increasing methodologies and opportunities in the digital space we do need to bring on board advice and experience from people who are in the trade.